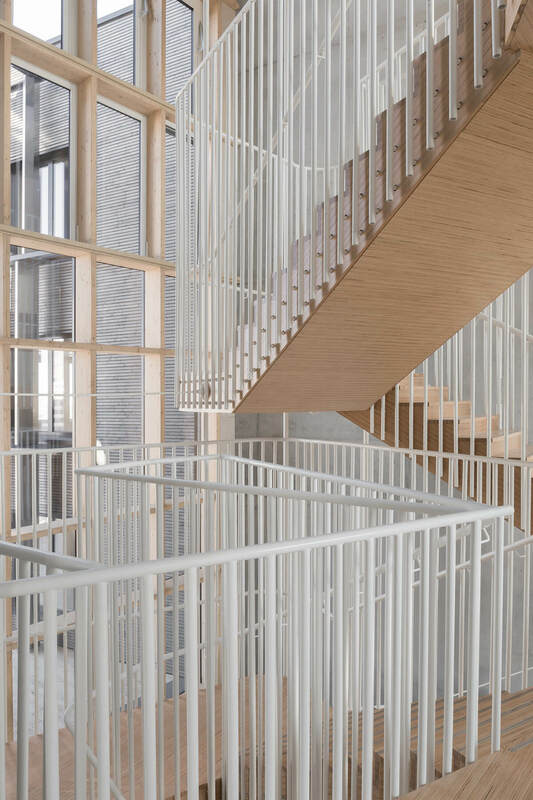 This seven floors staircase has been designed as a poetic and sculptural element within a 1% art program. 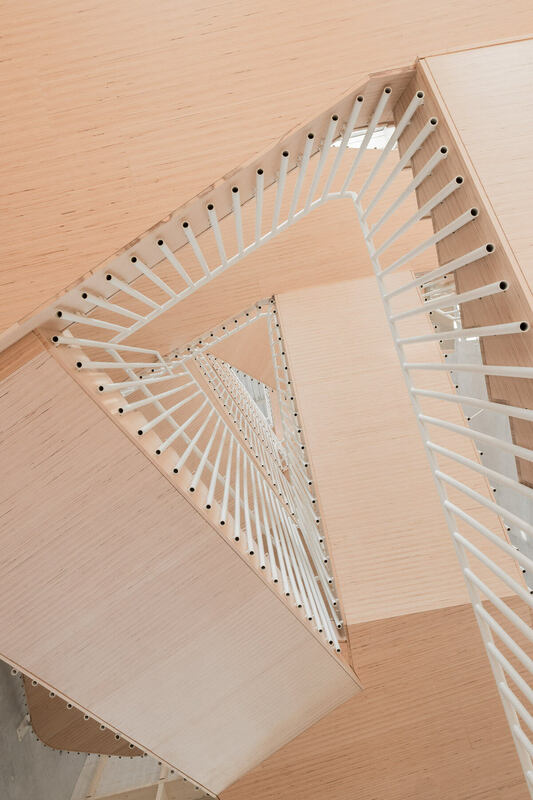 It is situated in the heart of the « Perspective » project in Bordeaux, a building by the architects Nicolas Laisné and Dimitri Roussel. 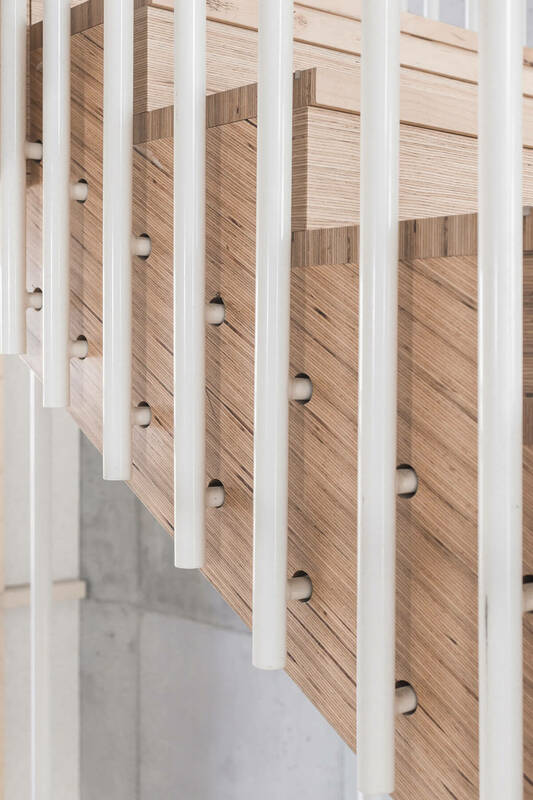 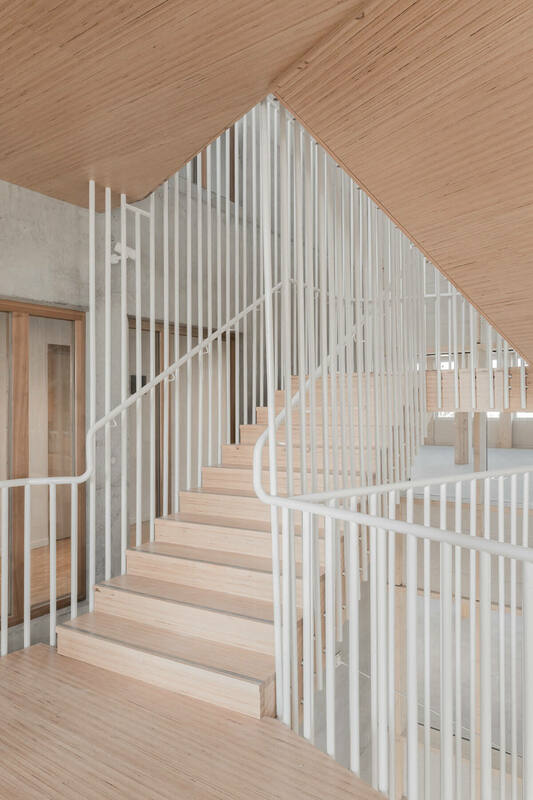 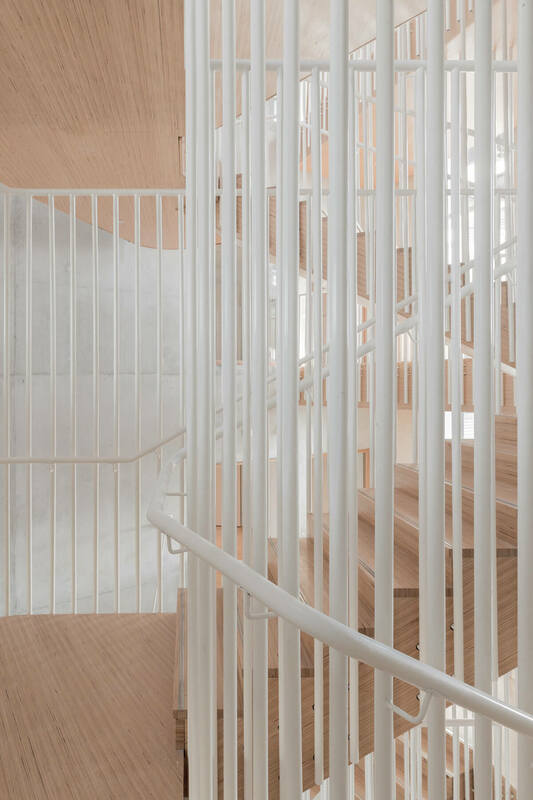 This staircase is a contemplative link between the inside and the outside. 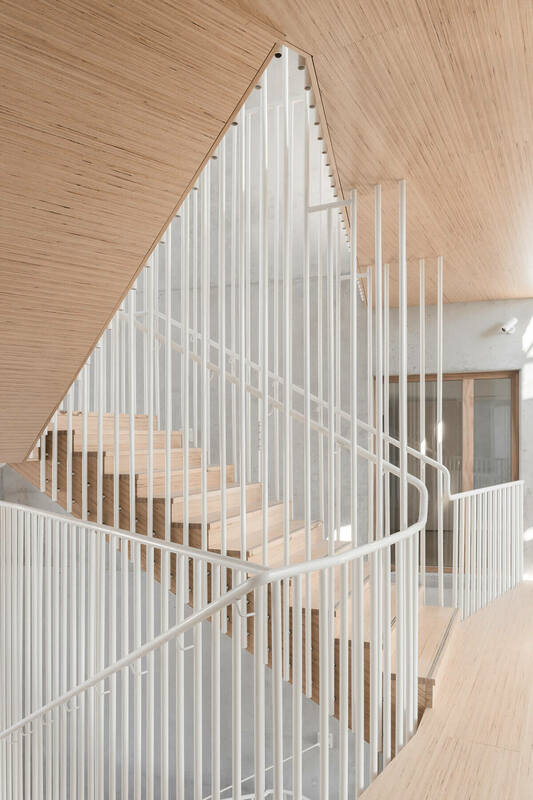 A curved dashed wall undulates around the stairs acting like a second skin. 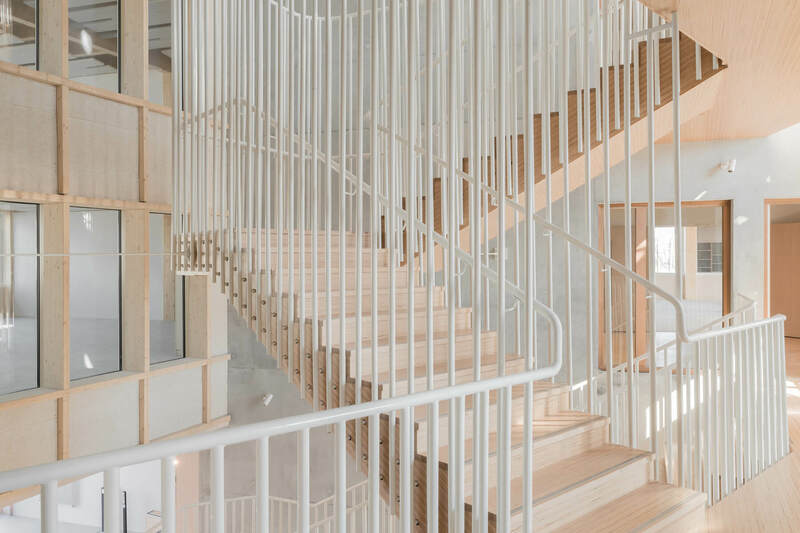 The vertical elements composing the structure are filtering the light and let the visitors see through the Garonne River. 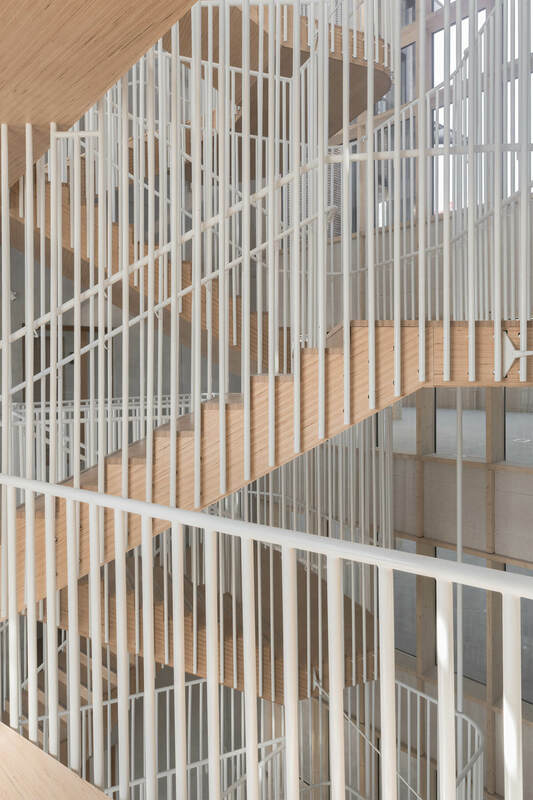 This graphic game of shadows and cinetic effects creates a constantly moving stairs, reflecting Escher’s drawings.